Was it a PE or Just Another Other? Depending on your narrative, ESRD can be either a pro or anti-coagulant state. After all, they are exposed to heparin, they’ve got uremic platelet dysfunction, etc. However, multiple studies have revealed the incidence of PE is 7-fold higher in ESRD compared to those with normal renal function (an incidence of PE near that of patients with active malignancy). In fact, having a PE with ESRD carries twice the mortality rate and hospitalization rate compared to those with normal renal function. Post-mortem studies would argue pulmonary embolism was a rare cause of death in ESRD, only 6.5% of hospital deaths in ESRD patients were attributable to thromboembolism. Does this really make sense? Along with the high chance of inherent bias in autopsy studies, the risk factors for thrombosis in ESRD are seemingly endless; recent surgery, central catheterization, access thrombectomy, hospitalization, proteinuria, immobility, inflammatory states, obesity, autoimmune diseases and so on. More puzzling, is that recent studies have shown that pulmonary hypertension (PH) in ESRD, so dubbed ‘Uremic Pulmonary Hypertension’ is a significant entity. Some report a prevalence as high as 50% by echocardiographic criteria, and around 10% by RHC when corrected for left sided heart failure, so called pre-capillary pulmonary hypertension. Currently the prevalence of chronic thromboembolic pulmonary hypertension in ESRD is not known. It would follow that a pulmonary embolism on an already strained right ventricle would seem a perfect storm for classic PE presentation. In fact, it has been previously postulated by Kumar et al that increased co-morbidity burden, especially cardiovascular complications associated with both these diagnoses, lead to diminished cardiopulmonary reserve, increasing both severity of PE and associated mortality. Yet, severe signs and symptoms like hypoxia, chest pain, volume overload or persistent hypotension are quite possibly overlooked, and sooner attributed to under or overaggressive ultrafiltration, heart failure or coronary artery disease. There is a scarcity data on clinical manifestations of PE in the ESRD population, predominantly case reports and case series. Even DVT’s have been shown to present atypically with less extremity discomfort and far more upper extremity DVT’s vs lower extremity (30% vs 10.8%). Ok, but wouldn’t sudden death point us in the right direction? The limited and outdated post-mortem data have not supported massive PE as a common cause of sudden death, and a recent ERA-EDTA registry review suggest the proportion of deaths attributable to PE among dialysis patients was only 0.7% over 2 years, barely above the general population, at 0.5%. However, around 25% were either Sudden Death or Other, and as a recent review by Makar and Pun pointed out the etiology of sudden death in ESRD is quite commonly unknown and a significant number of cardiac arrests are not shockable. One study in their review showing as many as 33% of all sudden deaths in HD patients were non-ventricular arrhythmias including asystole and pulseless electrical activity. Previous studies estimated that massive pulmonary embolism accounts for up to 13% of unexplained cardiac arrests, and the predominant rhythm of those arrests is pea or asystole in 95% of cases. It begs, are we missing VTE? It may be justifiable to look for PE more often, and in fact all the registry data in the world means little if we’re missing the diagnosis in the first place. It’s akin to dogs chasing cars, what would we do if we caught one? Can we accept the risks of anticoagulation for sub-segmental PE, or incidental PE? Would you feel safe using a NOAC? I suppose it depends on your narrative. Please check out the link for full details. 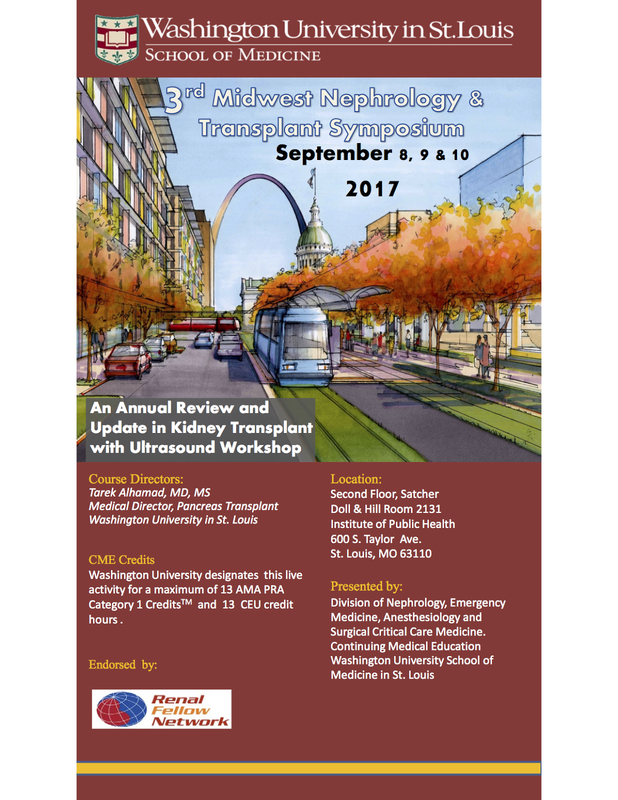 Includes an ultrasound for nephrologists workshop! 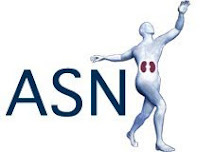 ASN is looking for fellows interested in writing for the Kidney News “Fellow's Corner” column. It's part of the monthly in-print ASN newsmagazine that goes to all ASN members. 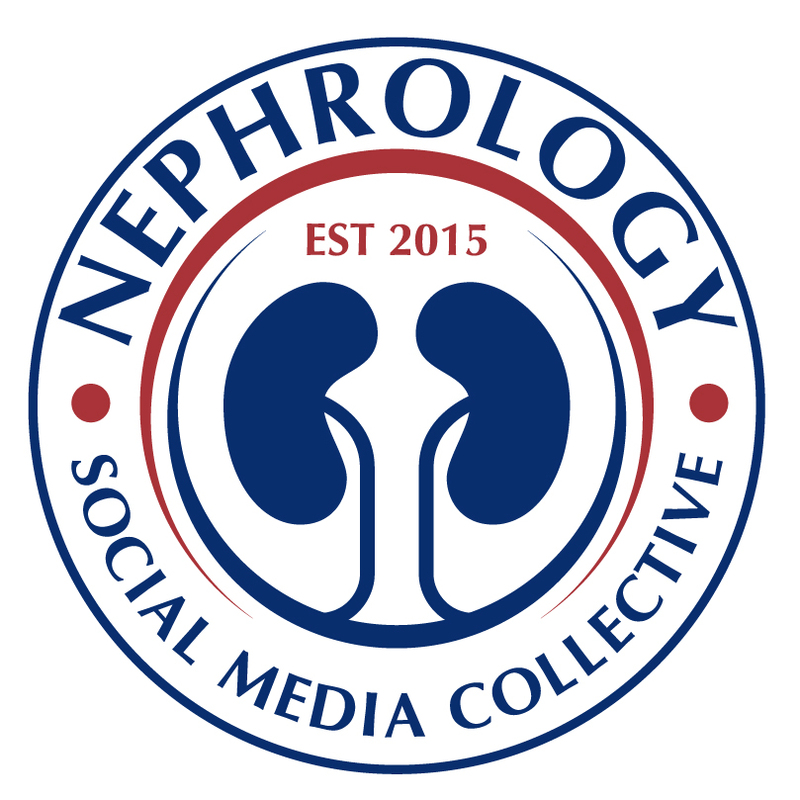 More importantly, it’s a great opportunity to express your opinions on topics related to nephrology and your life as a fellow, either general nephrology or transplant. Topics in the past have included medical education, policy/politics, dialysis decision-making, CKD-registries, and more. You can explore what interests you, gain experience writing, and connect with a wide reading audience. Not to mention gain a new entry on your CV. We are building a cohort of interested fellows so the time commitment is not excessive. If you are interested contact: Dawn McCoy (ASN Kidney News editor, dmccoy@asn-online.org) or one of the fellow editors Daniel Edmonston (daniel.edmonston@duke.edu), Devika Nair (devika.nair@vanderbilt.edu), or Rob Rope (robrope@stanford.edu). Rob Rope, on behalf of the ASN Kidney News Fellows Corner team. After a series of trials which included individuals receiving dialysis, the benefit of statin-based therapies as eGFR declines, particularly to the point of requiring renal-replacement therapy, has been uncertain (link, link). More recent work from the Cholesterol Treatment Trialists’ collaboration found a 21% relative risk reduction per each mmol/L reduction in LDL cholesterol in a broad group of individuals defined as having CKD, but they also found, despite an absolute benefit, the relative benefit of statin therapy appeared to decrease as eGFR declined. Among individuals with CKD, the strongest single-trial supporting cardiovascular risk-lowering benefit for statin therapies was demonstrated with ezetimibe plus simvastatin compared with placebo in the Study of Heart and Renal Protection (SHARP), which demonstrated combination therapy with ezetimibe plus simvastatin was associated with primary cardiovascular risk reduction (major atherosclerotic events) for individuals with CKD, including those with severe reductions eGFR, including dialysis. Largely based on SHARP, current guidelines recommend the use of statin monotherapy or ezetimibe plus statin for nearly all individuals ≥50 years old with reduced eGFR. However, to what extent the benefit observed in SHARP was due to the addition of ezetimibe, a cholesterol absorption inhibitor, is unknown. The Improved Reduction of Outcomes: Vytorin Efficacy International Trial (IMPROVE-IT) demonstrated an additional benefit of ezetimibe plus simvastatin (compared with simvastatin alone) in preventing cardiovascular outcomes among individuals with known coronary artery disease. Therefore, we conducted a secondary analysis of IMPROVE-IT to determine whether a difference in treatment effect existed across levels of eGFR reported in JASN. IMPROVE-IT did exclude individuals with CrCl less than 30ml/min due to safety reasons, so we were unable to examine differences at the most severe reductions in eGFR. Among 18,015 individuals enrolled and followed for a median of 7 years, we observed a difference in the effect of treatment on the occurrence of the primary endpoint (death from cardiovascular disease, a major coronary event, or nonfatal stroke) across levels of kidney function (Figure). The difference in treatment was statistically significant (p=0.037) and appeared as the baseline eGFR declined to ≤75 mL/min/1.73m2. The difference in treatment was most pronounced at eGFR levels ≤60 mL/min/1.73m2. At an eGFR of 60 mL/min/1.73m2, individuals in the combination therapy arm compared with individuals in the monotherapy arm had a 12% relative risk reduction (HR 0.88, 95% CI 0.82–0.95) for the primary composite endpoint; at a baseline eGFR of 45 mL/min/1.73m2, they had a 13% relative risk reduction (HR 0.87, 95% CI 0.78–0.98) for the primary composite endpoint. We also observed few adverse events in either treatment arm across all levels of eGFR. 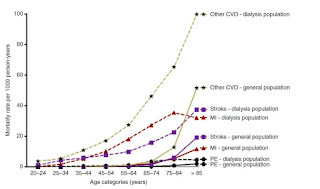 Individuals with CKD have several risk factors for cardiovascular disease including malnutrition, chronic inflammation, increased oxidative stress, and vascular and endothelial dysfunction related to uremia and calcium and phosphorus dysregulation. 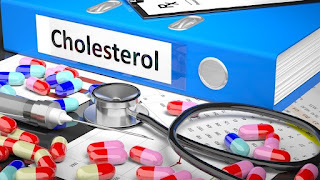 Importantly, they also experience significant dyshomeostasis in lipid metabolism leading to potentially modifiable atherosclerotic risks, including poor clearance of circulating triglycerides and lipoproteins, reduced lipoprotein lipase activity, increased oxidation of LDL cholesterol, and possibly increased relative cholesterol absorption. In IMPROVE-IT, individuals randomized to combination therapy with ezetimibe plus simvastatin experienced a greater mean reduction in both LDL cholesterol and triglycerides across all levels of eGFR. Because individuals with CKD are an inherently higher-risk group, achieving the same absolute level of reduction in LDL cholesterol through both inhibition of cholesterol synthesis and cholesterol absorption may be more effective in risk mitigation; yet, on the other hand, considering the numerous mechanisms by which CKD leads to increased cardiovascular risk, the relative benefit we observed from combination therapy as eGFR declined could also suggest ezetimibe add-on therapy conferred pleiotropic effects beyond LDL cholesterol or triglyceride reduction alone. Though important differences exist between SHARP and IMPROVE-IT (including exclusion of individuals with CrCl less than 30 ml/min, higher statin doses, and a study population with known coronary artery disease), our data support the efficacy and safety of ezetimibe added to statin for further cardiovascular benefit in individuals with coronary disease and moderately reduced eGFR. But Doc I'm in Pain! What would you do if you had chronic pain and a GFR of 90? Would you think twice about a two-month (or longer) course of NSAIDs? What if your GFR was 60? Or 30? As society grows increasingly fearful of chronic opioid therapy, what are we, PCPs, and patients to do? The literature is somewhat sparse, not surprisingly, on the broader risks of NSAIDs to our beloved beans. Especially in the post-phenacetin combination analgesic era. Last year, the results of the FDA-mandated non-inferiority safety trial of celecoxib were published. Focusing on CV/GI outcomes, it is not a renal trial. This trial has also been reviewed (with a nice visual abstract) in NephJC. ~24,000 pts with elevated CVD risk and OA (~90%) or RA (~10%) pain were randomized to celecoxib, naproxen, or ibuprofen. Mean daily doses: celecoxib ~200 mg, naproxen ~850 mg, ibuprofen ~2000 mg. ~1/2 of patients were also on ASA for CV protection. Esomeprazole was given for GI protection though adherence was not reported. Baseline mean Cr was 0.9 +/- 0.2 mg/dL. Patients with CR > 1.7 (M), 1.5 (F) were excluded. Mean treatment duration 20 +/- 16 months with mean follow-up 34 +/- 13 months. ~2/3 stopped drug at some point and ~1/4 were lost in follow-up. Results: Celecoxib was "non-inferior" in terms of CV risk compared to ibuprofen and naproxen. The primary composite outcome of CVD, MI, CVA happened to 2.3-2.7% of the ITT groups. In other words, celecoxib is not worse for your heart than ibuprofen or naproxen. 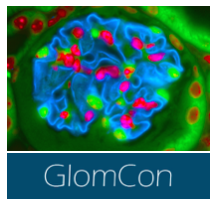 There may be a reduced risk of serious GI events with celecoxib as well. Cr ≥2.0 mg/dL with increase of Cr by ≥ 0.7 mg/dL. Admission for AKI (doubling Cr, AKI + K > 6, or requiring RRT). Renal Outcomes in ITT Analysis (Nissen et al. 2016 NEJM 375 (26):2519-2529). On-Treatment Analysis -- HR for renal outcomes were: celecoxib vs. naproxen 0.66 (0.44-0.97) and celecoxib vs. ibuprofen 0.54 (0.37-0.80). So celecoxib may be safer from a renal standpoint than ibuprofen or naproxen in patients without baseline CKD. Note the moderate dose of celecoxib used and high rates of drop out. In addition, significant GFR losses over a relatively short period of time (e.g. Cr 0.9 to 1.5) may have been missed. What about patients with CKD? Cohort studies in patients with CKD are mixed and limited by the usual concerns. A recently published prospective cohort study of ~4,000 patients with rheumatoid arthritis compared eGFR trajectories in those having taken NSAIDs (~2,700) to NSAID naïve patients (~1,300). NSAID use was not associated with more rapid CKD progression in those with eGFR > 30 (using Cockgroft-Gault) though a very small number of patients with eGFR < 30 did have more rapid progression on NSAIDs. Importantly, other cohort studies have shown that higher dose NSAID use may be associated with faster GFR decline and that selective COX-2 inhibitors may not be any safer than non-selective NSAIDs. The latter notion may contradict the study discussed above. NSAIDs can reduce GFR acutely, worsen hypertension, or provoke hyperkalemia. 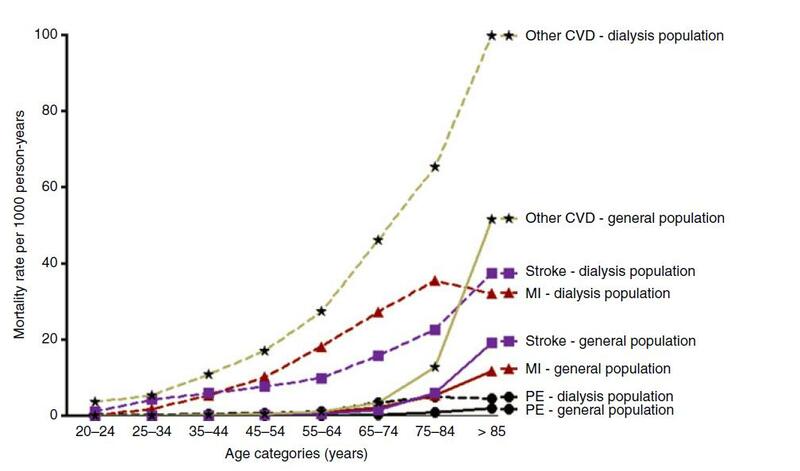 But this is a concern only for a minority of most CKD patients right? Can close monitoring of patients and striving to use the lowest dose reduce our concerns and allow greater use of these effective medications in patients with CKD? Especially in those patients with "lower-risk" CKD? Given our limited options otherwise, I hope so. For those interested, a recent review in AJKD about pain control in CKD (and a notable response) provide additional information and are worthy reads. Wash U Nephrology Renal Path Webisode - Unravel the Mystery CPC! The May webisode of the Renal Pathology Series from Washington University is presented in CPC style format. Walk through some differentials and interpret the histology as you piece this case together!